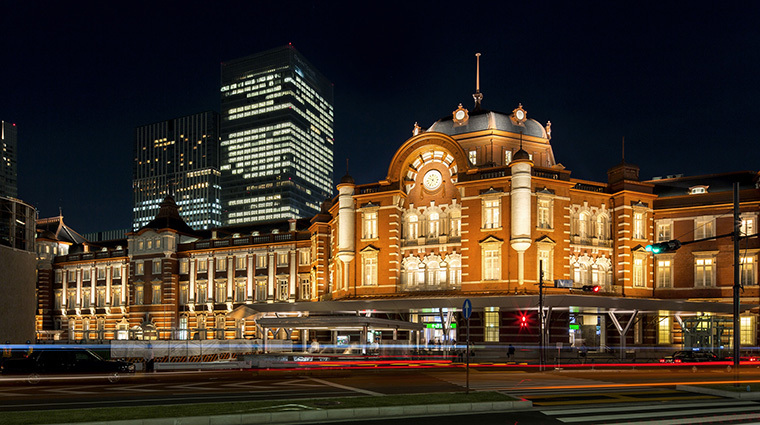 The Tokyo Station Hotel turned 100 years old in 2015 and this grand dame has certainly aged gracefully, albeit with quite a few nips and tucks. 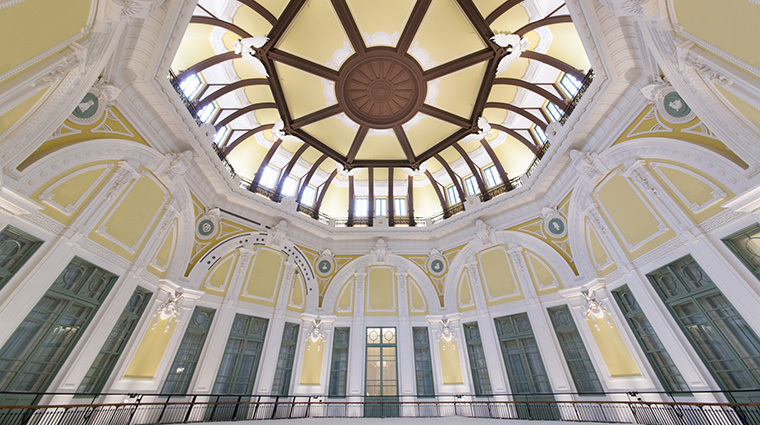 The historic hotel located within Tokyo’s iconic Central Station dazzles due to a full restoration completed a few years ago. 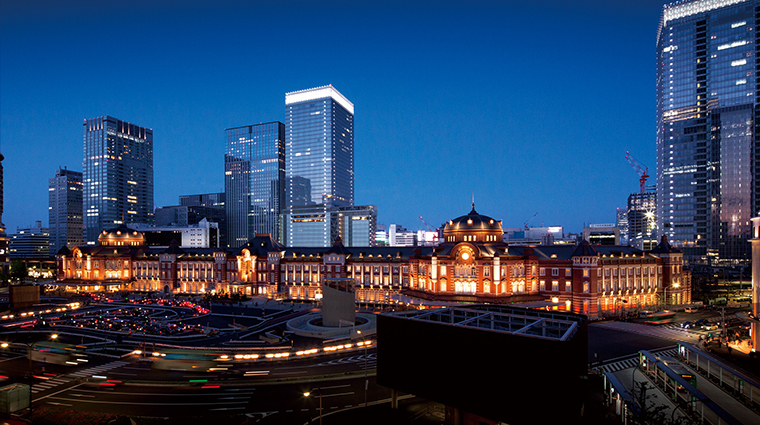 Retaining her red brick exterior — a rarity in a city full of gleaming skyscrapers — Tokyo Station is tastefully attired in a classic-but-contemporary European glass-and-steel fashion. 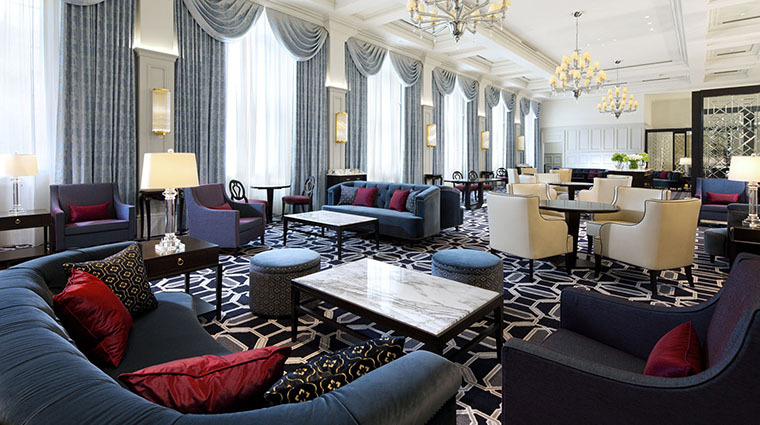 The public spaces are delightful with vaulted ceilings and sparkling chandeliers, the lineup of restaurants run the gamut from fancy to casual, and a chic spa offers saunas and hot springs. The staff is a real asset here, happily accompanying guests through the hotel’s corridors to the bullet train station to assist with both ticketing and luggage. 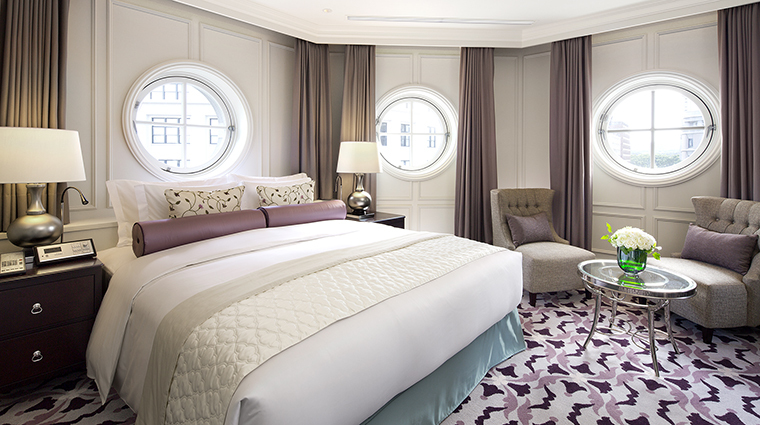 Several suites offer grand vistas of the Imperial Palace or overlook the soaring interiors of the cupola domes of Tokyo Station. 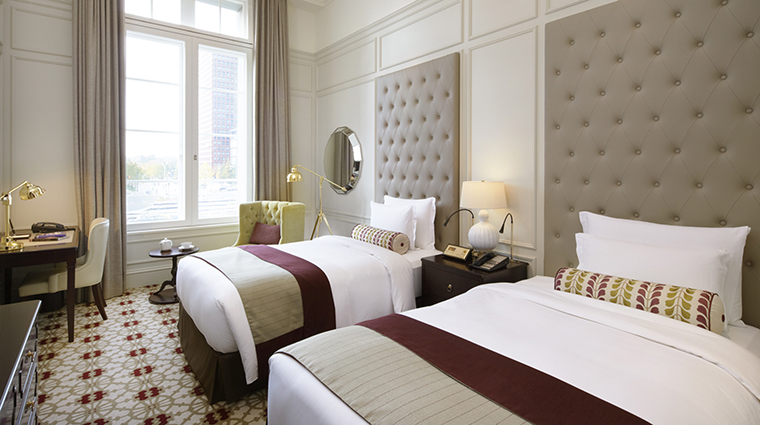 Situated in Marunouchi, the city’s commerce center, the daily buzz of business ebbs and flows both outside and inside the hotel, ideal for those traveling for work but also for pleasure. The convenience of the rail station (both train and subway) means travelers can easily connect to other major centers for sightseeing. With stellar English skills and local knowledge, the top-notch concierges offer recommendations that are worth following. 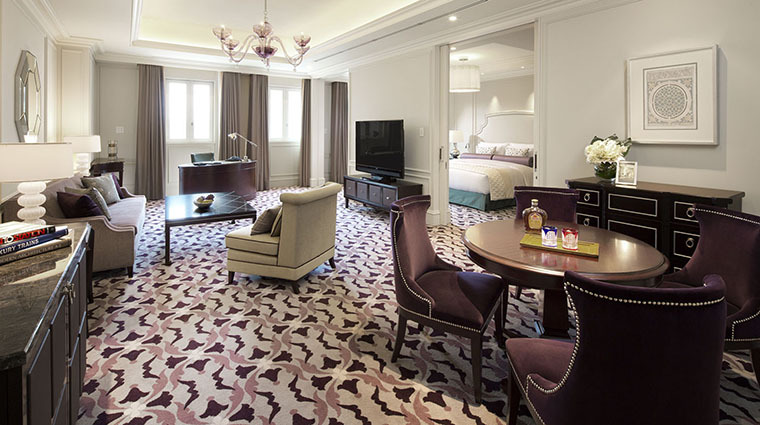 Within walking distance is both Tokyo’s famous Ginza with its nightlife and shopping, plus the incomparable Imperial Palace and gardens. The closest airport is the Haneda Apirport Station, which is only a 30 minute ride on the monorail. 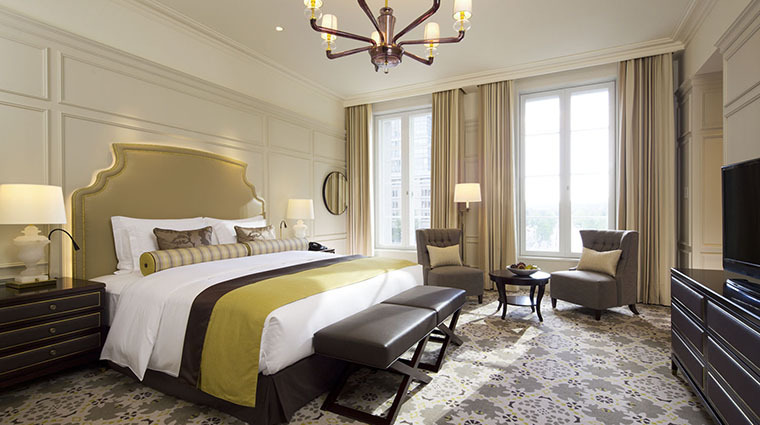 In a word, the guest rooms are sumptuous. In particular, the bathrooms are enormous and the rain showers are more than generous. 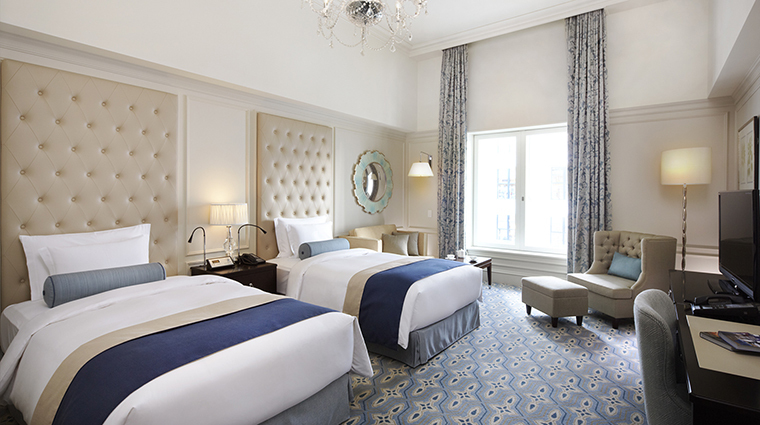 Muted colors and high ceilings, incredibly comfortable beds and silk draperies strike a luxurious and elegant tone. Rooms range in style from the Classic bed and baths to the secluded two-story Maisonette Suites that top out at almost 1,300 square feet. As is often the case in Tokyo, some of the standard rooms are intimate in size but make up for it with luxe amenities like laundry service, docking stations and an LED reading light. 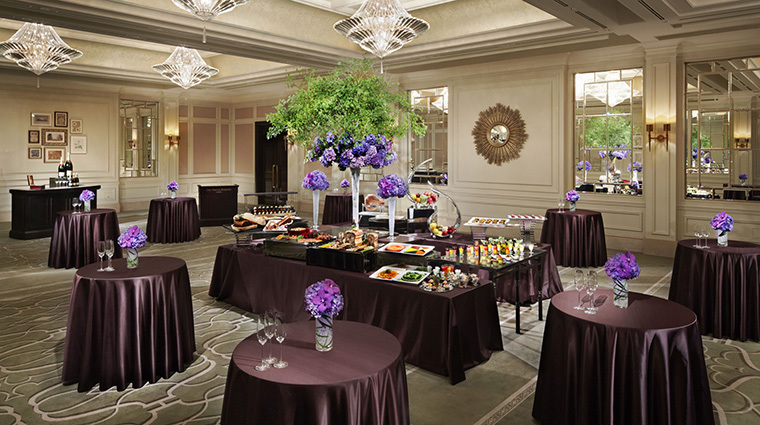 The Tokyo hotel’s wide range of restaurants has a great local reputation for both quality and style. 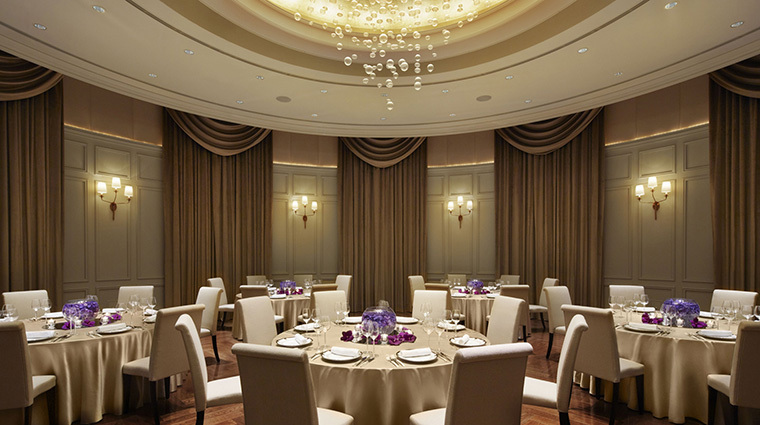 Cantonese en Ken Takase, the hotel’s Chinese restaurant, boasts a renowned chef whose signa-ture dishes combine Chinese wellness traditions with modern taste sensations. 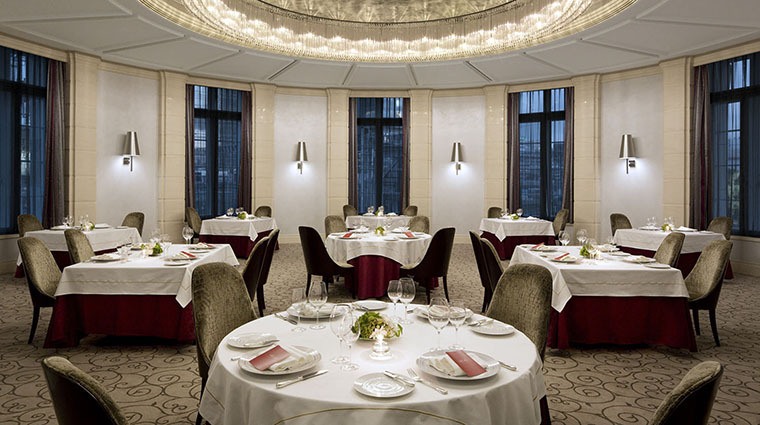 The French, Italian and Japanese restaurants are popular with business types for lunch and dinner. You can dine at any of the three Japanese restaurants, offering sushi, keiseki, teppanyaki or yakitori, and be as-sured of an authentic, high-end Japanese experience. Come evening, the two popular watering holes, Bar Oak and Bar & Café Camellia, are standing room only. 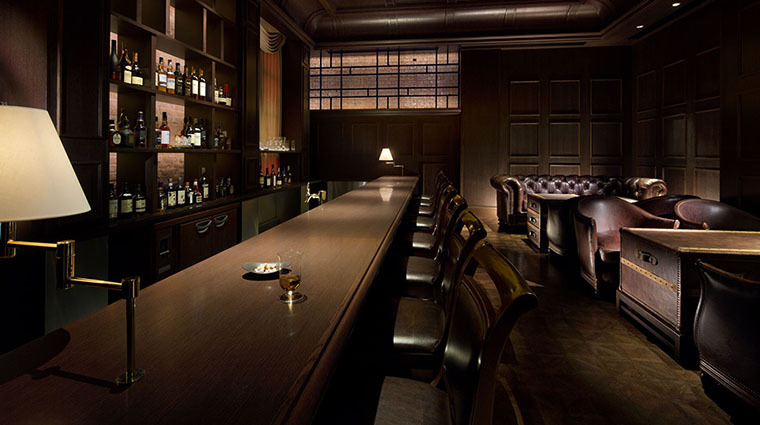 The Oak’s train stationed-themed cocktails are a bit of fun and the club-like atmosphere (which can be a little smoky), offers hotel guests prioritized reservations.